We just moved last August 2015 our office from Hatyai to Klong Hoy Khong district in the same province: Songkhla. Songkhla province is to be found in Southern Thailand and even shares a border with Malaysia. The distance from Hat Yai to Bangkok is about 930 km, Hat Yai to Kuala Lumpur (Malaysia) is around 470 km. From both places buses and (over-night) trains depart to Hat Yai. Hat Yai Airport can only be reached from within Thailand, Kuala Lumpur and Singapore. Our new office is situated in the country side, about 20 km from Hatyai at Kok Riang project. 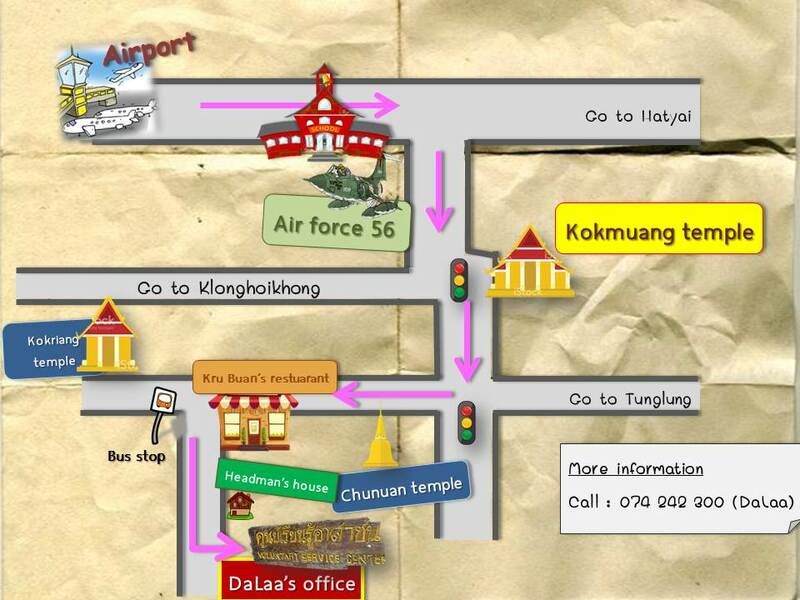 The easiest meeting point for outsiders is Hatyai airport. Please contact us in advance for possible pick up. 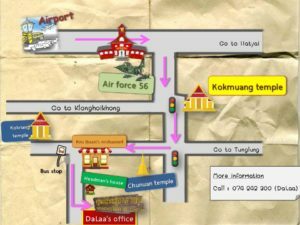 For adventurous people, you can take public transport “songteo” from Hatyai Plaza (clock tower) to “Baan Neua-Kongbin 56”. They can bring you to Baan Neua for 30 Bahts but there are still 4 km to go, sometimes the driver will be very nice to bring you to Kok Riang… if you’re lucky.